Adnan Mohammad, who goes by the name “NYPokerKing” and is a well-known figure in live poker circles, is at the center of a payouts controversy involving his PokerClub.ag online poker site. It's housed on the popular PPPoker app, which uses a membership-based model where users are added to clubs by the club organizers and then play against others in the same club. Many of Adnan's customers have claimed that he hasn't paid them what he owes, and the backlog of unprocessed withdrawal requests has reached around $84,000. The current situation with PokerClub.ag was brought to light by Twoplustwoer “Wizard-50” who created a thread on Jan. 2 documenting the cases of two players, owed a total of more than $60,000. They both attempted to communicate with site staff to inquire about their withdrawals, and “Wizard-50” shared screenshots of their conversations. Repeated promises were made and broken, followed by excuses and new promises. On Jan. 5, the original poster, “Wizard-50,” reported that more individuals had contacted him regarding a failure to pay on the part of Adnan and other representatives of PokerClub.ag. Assuming all the claims were true, the total owed had climbed to about $84,000. 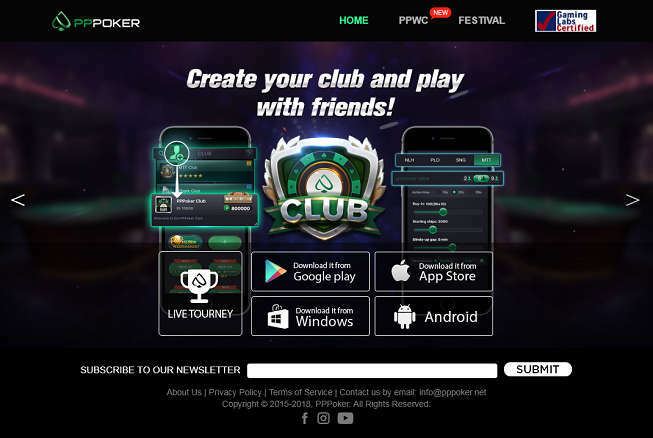 PokerClub and its brethren on PPPoker and other similar social apps have a different operating model than traditional offshore poker sites do. Instead of spreading card games for actual cash, the creators of these applications state, perhaps a bit too vehemently, that their games are for play chips only. PPPoker has an in-house currency, called Diamonds, and it can be purchased with real money. Players use Diamonds to buy things like avatars, extra seconds for the timebank, and the ability to use emojis. Club hosts can purchase chips with Diamonds along with additional resources, like customized reports, to make managing a club easier. So far, this is a standard play-money social casino setup. Where PPPoker deviates from the norm is that club owners can sell their chips to players they recruit for real funds and then buy them back later at an agreed-upon exchange rate. This is done without the supervision or explicit approval of the PPPoker team. Not all clubs conduct business in this fashion – some are legitimate arenas for play money fun among friends. Yet, a large fraction of them are devoted to offering what amounts to real money gaming over the internet. PPPoker rakes the tables at a standard 5% rate, so the chips that club agents are required to translate into cash are fewer than the amounts initially purchased: a primo avenue for big profits. Because PPPoker doesn't process cashouts itself, the developer – AceKing Tech Limited in Anguilla – is able to use the legal justification of providing games just for entertainment purposes. It doesn't have anything to do with how the club managers allocate chips, and so it can claim ignorance of the fact of any gambling for real cash that's taking place. Unfortunately for users, there's therefore no central team involved in any payout disputes. The safety of users' funds is up to the honesty and reliability of the club manager or agent who's overseeing the club and handling the money. The lack of coordinated, top-level game security monitoring also means that all anti-cheating measures taken are up to the club owners also. We've heard reports of collusion, botting, multi-accounting and other kinds of unsavory tactics at the PPPoker tables although PokerClub.ag appears to be relatively clean in this department. Another issue is the fact that promoters of these clubs currently infest Facebook groups, Reddit communities, and any other medium online where they're permitted to post their club codes. 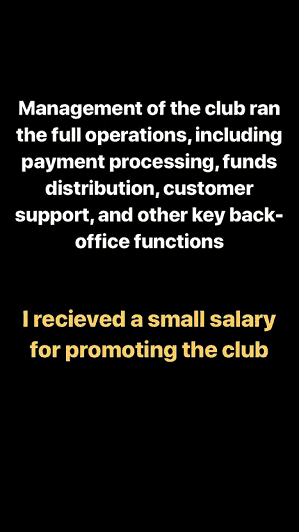 Most of these posters are fly-by-night accounts, and there's often no real way for prospective customers to tell whether a given club is being run competently or is just a scam. As we mentioned above, PokerClub.ag uses the PPPoker app to conduct its gameplay. It accepts deposits and processes withdrawals via a number of channels, including Bitcoin, Litecoin, Ethereum, PayPal, Venmo, and SquareCash. Anyone wishing to add funds to an account or request a payout must complete a form online. They then receive further instructions from PokerClub.ag cashier personnel who communicate over the phone and through Telegram. PokerClub.ag offers some games that are non-standard, like 2/4 PLO with 500bb buyins and 5-card PLO. Because it's promoted largely through word of mouth in the brick-and-mortar cardroom community and it offers action games for meaningful stakes, the amount of chips being passed around the virtual felt can really add up quickly. 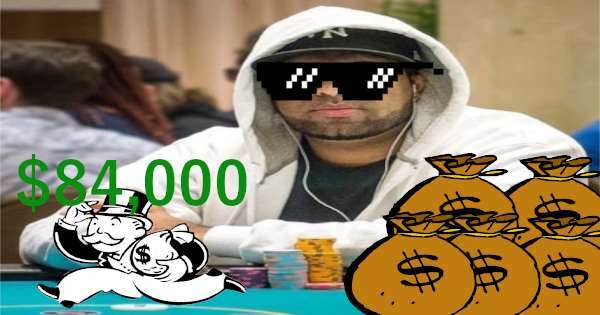 Adnan Mohammad of PokerClub.ag tries to maintain a larger-than-life, baller image. 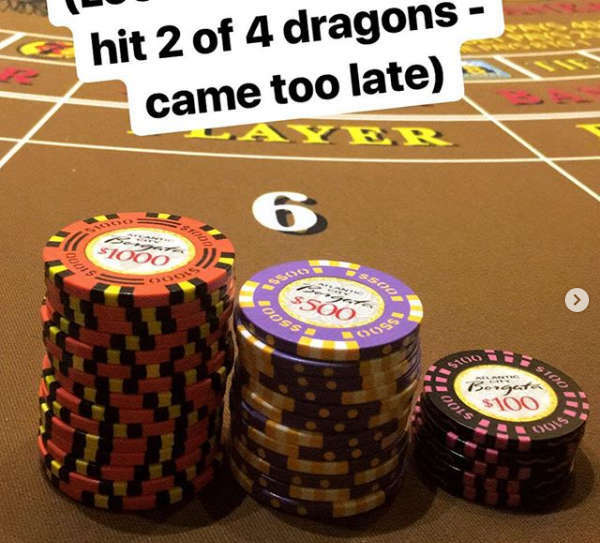 He frequently posts pictures on his Instagram account, not only from his poker sessions but also his play of casino pit games and winning five-figure sports betslips. In the past, he boasted about owning a Bentley, but rumor has it that he either sold the Bentley or never possessed such a high-end car to begin with. NYPokerKing used his social media following and big-money chip stack images to entice people into joining PokerClub.ag. Yet, there are signs that not everything is right with this gentleman. Some have even speculated that he was stealing funds from the poker club to fund his extravagant expenses, like degenerate casino gambling, because it's not known where he would otherwise have acquired the cash to do so. The first warning sign is that Mr. Mohammad is known by various monikers across the internet. Variations of his first and last name, like “Adnann” with two n's, “Mohammed” with an e after the second m rather than an a, “Adam,” and his last name shortened just to “Mo” are some of the spellings we have spotted. This isn't necessarily a problem in and of itself; a lot of online personalities go by different names. However, the sheer number of slightly different identifiers used is worrisome in our view. More troubling, though, is the fact that Adnan is a convicted felon! In 2012, he was found guilty of grand larceny and was given a sentence of five years' probation plus 50 hours of community service. Furthermore, Adnan was ordered to pay restitution of $23,700. This wasn't Mohammad's first brush with the law either. In 2010, he was sued for supposedly stealing a five-figure amount through an ATM scam. He was implicated in a scheme to program these machines to dispense $20 bills but perform calculations as though they were $5 bills. He and his associates allegedly profited from the difference. It's fair to say that Adnan did not take the roasting he was getting from his customers well at all. Beyond just assuring everyone who asked him that cashouts were being processed like normal, he actually accused the two people who were waiting on the largest withdrawals of cheating! Mohammad urged those who played hands against “DonkeyCopter” (owed more than $40,000) and “Slizzer” (owed around $20,000) to inform the site of any “suspicious activity that you observed.” This was a transparent attempt to get out of paying these two individuals what was owed. Perhaps sensing that his ridiculous allegations were not believed by any serious player, Adnan cleared the two users of any wrongdoing and eventually contacted them to make arrangements to pay what he owed them. 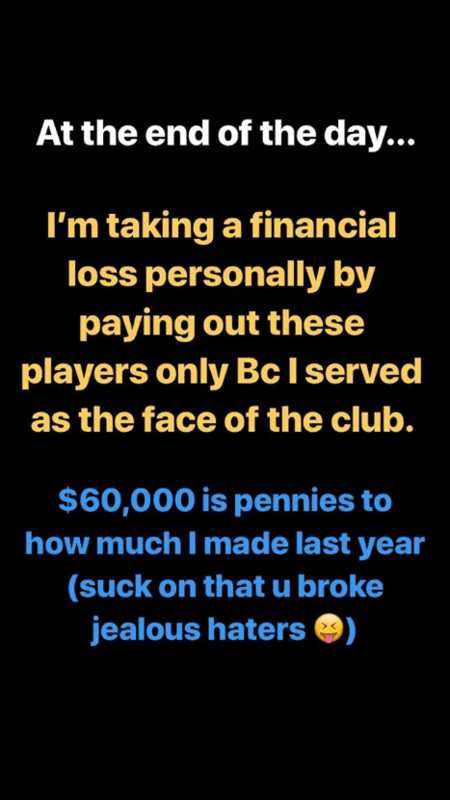 We reached out to the player with the largest balance due, “DonkeyCopter,” also called Adam, to hear what he had to say about this entire ordeal. He told us that he's an experienced PLO and PLO/8 player. Adam has been playing online since 2008, and he participates in a weekly home game once a week while supplementing his card play with sojourns to Vegas for about a week approximately once per year. Despite being well-versed in several formats of poker, Adam doesn't think of himself as a professional card player because he has a full-time job. He deposited a little bit, played, and made a cashout almost a year ago but then took a break from the site. “DonkeyCopter” only started putting in serious volume at the tables in October 2018, but when he did so, he was able to amass quite enviable results. Playing 5-card Omaha, for which he was still learning the proper strategies whilst relieving his adversaries of their chips, Adam cashed out in the ballpark of $20k in October and November. He added to his winnings with about $25k in November and December. PokerClub.ag was giving him his withdrawals during this time but only for small amounts. Indeed, Adam's balance continually increased faster than he received the money! 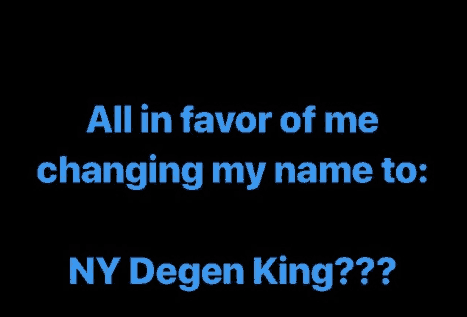 Given these circumstances, it was reasonable that he stopped playing in order to give PokerClub.ag time to catch up on his requests for money. However, once he ceased putting in the time at the tables, his payouts also ended. Incredibly, a support agent revealed that the level of play of a customer influences the speed of their payments! Because “DonkeyCopter” was no longer generating rake for Adnan and Co., they didn't care anymore about sending him his fairly earned winnings. Something else that Adam noticed – and was in fact pointed out by Chase Bianchi about nine months ago – was that PokerClub.ag was redirecting incoming deposits directly to the accounts of withdrawing users. That is, some cashouts were being covered by new money coming into the system. This is almost the exact definition of a Ponzi scheme. By the time he stopped playing at the room, Adam had accumulated a balance of $43,511. It was only on Jan. 5, after which news of the situation had started to spread, that Adnan phoned up Adam and promised to pay him in installments. 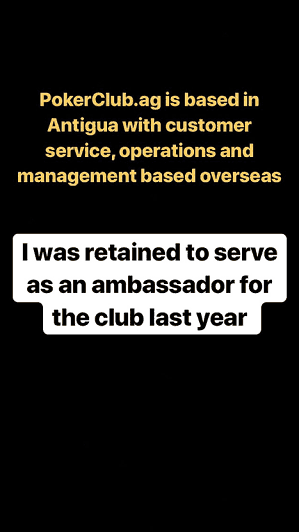 That's right – NYPokerKing is asserting that PokerClub.ag is “based in Antigua” and that he is just an ambassador of the brand! How his ambassadorial role involved investigating possible cheating and touching base with customers about their payouts is beyond our ability to comprehend. Mohammad is actually claiming that he's committing money out of his own pockets to make users whole. If, as he states, “$60,000 is pennies to how much I made last year,” then we're left wondering why he's distributing these pennies in small portions and sometimes missing payments. We're dubious as to the intentions and dependability of Adnan “NYPokerKing” Mohammad. While we wish the affected players luck in their endeavors to collect their balances due, we feel that it's very likely that they won't be able to recover the full amounts owed. 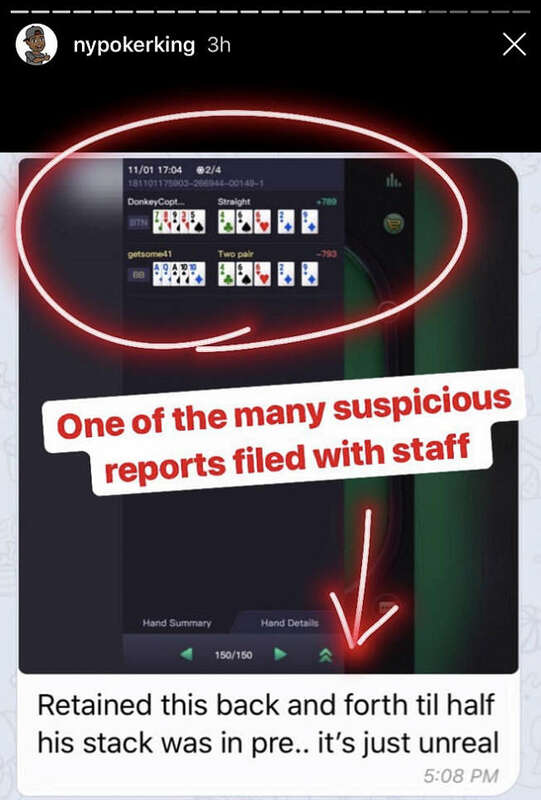 The entire model of PokerClub.ag, PPPoker, and related social poker apps has you trusting a third party of possibly uncertain reliability with your hard-earned money. The NYPokerKing case is merely an exemplar of this phenomenon. If you want safer options, then find a mainstream offshore poker site with a good history of fast payouts. We've gone through all the USA-friendly internet poker rooms and offer our recommendations in our guide to online poker for Americans.